This time last year, I could barely get off the couch. I was in a job that destroyed my confidence, I was drinking too much, and I had a long commute that left me exhausted. I didn’t recognize the person I’d become. I used to be the woman who organized group events, hosted dinner parties and volunteered for everything. I held leadership roles and tried new things and thought of every day as an adventure. This time last year, I wished my days away, just trying to get to the weekend or the holiday or the vacation. I wasn’t enjoying my life, and I wasn’t taking care of myself. Through months of therapy and personal development, I built a stronger self-awareness: a deeper sense of who I am and what matters to me. I also left that job and chose to grow my own business. With my own rules. Where I could use my strengths and live my values every day. While I know this is not an option for everyone (and I am NOT suggesting anyone leave a bad job without a plan in place), I know some of you are in that dark place that I was last year. Some of you are not feeling valued at work. Some of you are patronized. Some of you can’t speak your mind or be who you are for fear of retribution. I’ve been there. And I believe that no one should have to live and work in that kind of environment. Especially when we spend more time at work than at home with our families. We are made for more. Each one of us is put on this planet for a purpose. We each have a gift to share with the world. The hard part – and the fun part – is figuring out what our gift is and how to share it. A personal mission statement helps us to stay on track with our purpose, or at least our purpose for now. It prioritizes our to-do list and makes decision-making a breeze. A personal mission statement helps us make choices that align our actions with our values. A personal mission statement is a way to combine your strengths, values, goals, preferences and personality type into a concise sentence. A personal mission statement that sets clear boundaries is the number one tool for making tough decisions and taking powerful action. And remember: taking action helps us build confidence! Mission statements help us stay aligned with the values we find most important and ensure that we’re staying focused on the way we want to show up in the world. By living in accordance with our mission statement, we can build confidence. These simple statements help us choose actions that will contribute to the version of the person we want to become. If our personal mission statement was “to be fully present in my life,” then we might choose an action like meditation to help us become more mindful. We might also let go of petty arguments, forgive those who have hurt us, and make more time for family, friends and ourselves. On the other hand, if our personal mission statement was “to inspire positive change through teaching,” but we were not working in an environment where we were able to teach others, we might choose to go back to school to get a degree or certification, start looking for a new job that was a better fit for our strengths, or sign up for a volunteer role where we could tutor students or mentor others. 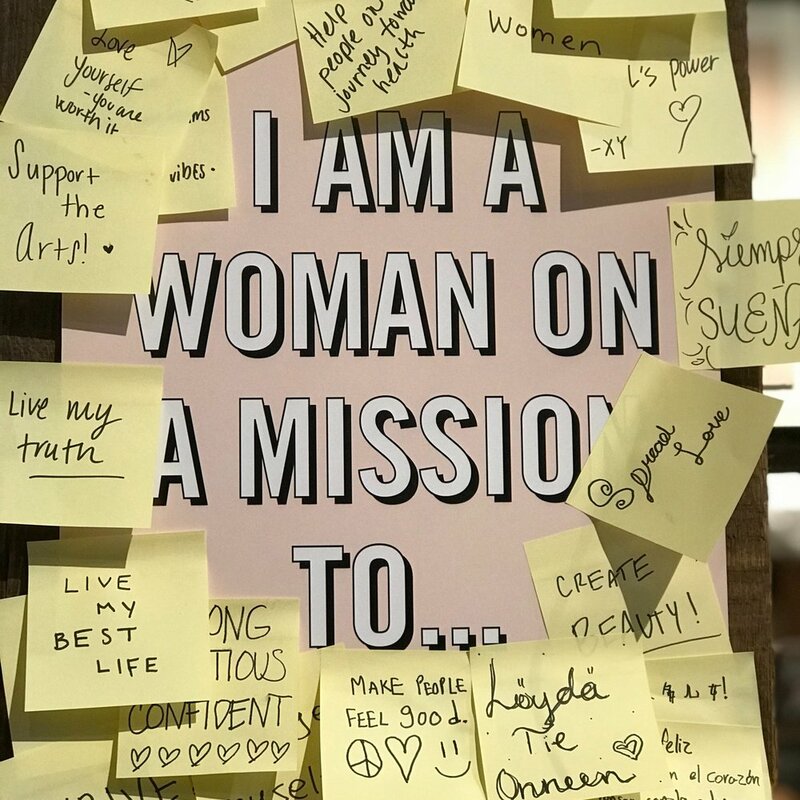 After you’ve built a healthy sense of self-awareness and have discovered your strengths and identified your values, you’re ready to craft your own personal mission statement. Where do you want to go? What does success look like to you? What legacy do you want to leave behind? What impact will you make on the world? Take your time, open your mind, and listen to your heart. Give yourself plenty of time and space to answer these questions. Then, take a few moments to brainstorm some ideas for your personal mission statement. When you have a list of a few statements, choose the one that resonates with you the most. You can always change it later! Use this free Self-Awareness Workbook to discover your strengths and values and craft your personal mission statement. Creating a personal mission statement helps to align your path to your purpose. It helps you make decisions, choose actions that are right for you, and build healthy confidence. A personal mission statement says, “this is who I am!” It’s your gift to the world. It’s the legacy you’ll leave behind. It’s a way to keep you motivated and inspired. What is your personal mission statement? Share it in the comments!